About Hida I. Message Hida I.
Hida was very friendly and knew a lot about the area. She took us around to multiple shops and local restaurants. The pigs were great. If you come on Saturday I would start the tour a little later as most of the shops don't open until 10. Would have loved to have more time to get into the swimming hole she brought us by. I worked with Hida to create a custom tour for me and my 9 year old son for a day on Grand Bahama. We had private tours of the soap/candle factory, perfume factory and Bahamian brewery. I wanted to go to a quiet beach after seeing Freeport and the surrounding area. We ended up at a secluded spot that was perfect for body surfing. We also stopped for local ice cream after eating the picnic lunch Hida brought along. 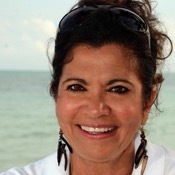 Hida is very knowledgeable about the Bahamas and we enjoyed our time with her immensely. Hida was an amazing tour guide! 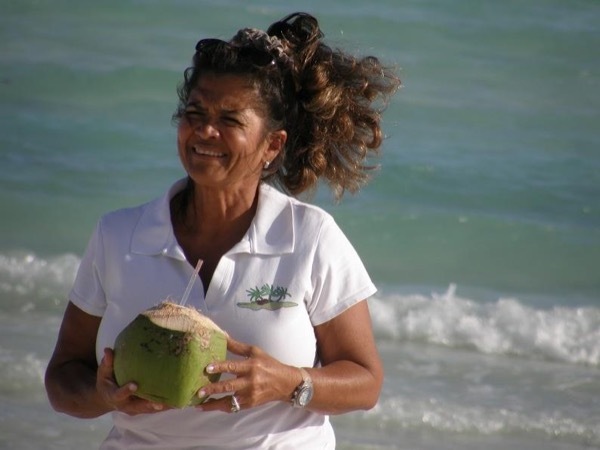 We highly recommend her to anyone who is going to be traveling to the Grand Bahama Island. Her tour packages are great for couples or families alike as she customizes her tours to her guests. We love Hida so much that we are already talking about a second trip to the Grand Bahama Island. Hida made our trip amazing. All the best that the Grand Bahamas had to offer was at our finger tips. We sampled great local cusine from fancy resturants to conk right from the fisherman's boat. The sighs were incredible and she offered surprises and personal touches throughout our trip. We love Hida! Highly recommend!! !